To get the most out of this list read over each bullet point and see which fits your current strategy you have put in place. Make your top 10 list and start prioritizing which to do first. Will you do each or do you have a team that can help you out? Maybe you want to outsource some of the tasks so you can spend time on other income producing activities? If you are looking for a way to get all the targeted traffic you could ever wish for, NO MATTER what you sell, just scroll down to the bottom of this post and read bullet point 94. This traffic strategy alone will allow you to tab directly into one of the BIGGEST source of targeted traffic you’ll find on the internet today, and learn how to convert it into rapidly buying customers regardless of your niche. Interested? Scroll down now. 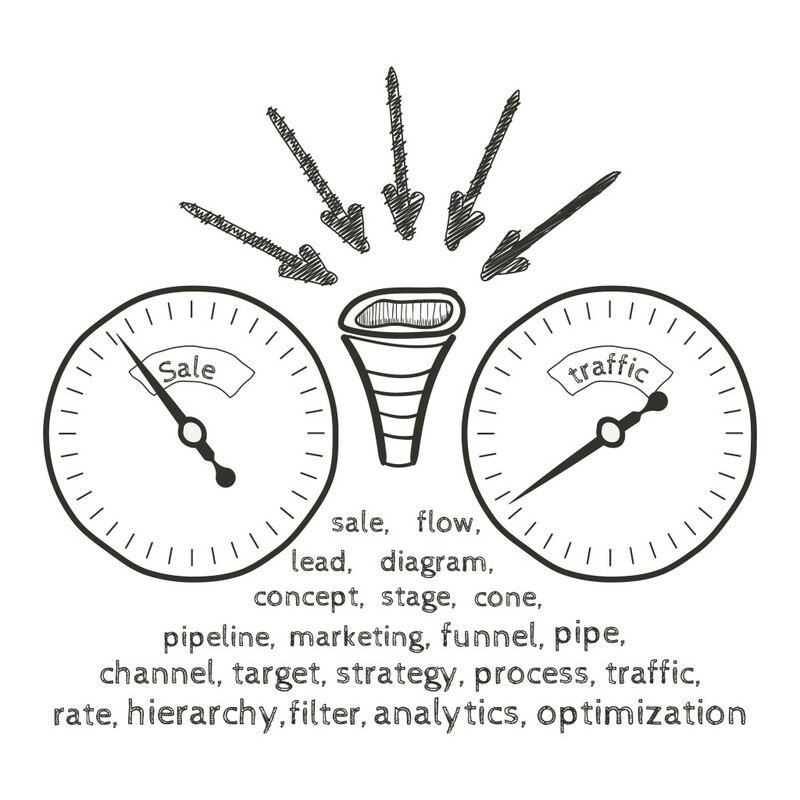 That being said- let’s dig into our instant traffic getting strategies. A roundup post is an entry that speaks about a group of people in your niche. This approach is used to build relationships with influencers in your niche. Let them know that you are reaching out to them and promoting their content. More often than not, this leads to them returning you the favor by blogging or tweeting about you. If they are indeed influential in your niche, their return of favor will be sending massive traffic your way. Twitter can be an enormous source of traffic for you if you know how to build your Twitter network on a daily basis. Your goal with Twitter is to network and build relationships, and these relationships can lead to more traffic. One Twitter post can become so viral that it can send tens of thousands of visitors to your sites if done in the right manner. Studies have shown that people are spending more time on Facebook than any other website on the internet. By being in front of such traffic, you have the best chance of being seen on the vast web. Create a Facebook Page for your website and install a “Like Box” into your site so that your visitors will know you are on Facebook and join as a fan on your Facebook Page. If you haven’t joined our Facebook Page click here. You can find your niche market by browsing through Facebook groups. Once you find a group relating to your niche participate in it and get yourself known to their members by giving value to the group. Make your website URL known. Soon enough, people will start noticing you and traffic will flock to your site. Alternatively, you can create your Facebook group as well, so that you have total freedom to do what you want in your group. To get started join our group and get instant access to over 70+ tested and proven conversions and optimization formulas. Events is an application on Facebook that helps you to organize events. It is an excellent way to get more traffic because by leaving all the default settings the way they are – that is, allow guests to invite others, upload photos, write on the wall, etc., every one of these activities creates news items that go out into the feeds of those individuals and their friends. This means that your content / event will go viral very fast on Facebook. If you are great with design, you can take the statistics of any topic and create an infographic to represent the figures. Infographics can go viral very quickly as people like to share them all over the web. Do remember to include your website URL within the infographic so that you can get the traffic when it is re-blogged elsewhere on the internet. You know what? Forget about being great with design, you can outsource it to someone else to get it done for you! Create cheat sheets with valuable information about an individual topic and include your website URLs where possible inside the document. People love content such as this, and there is an exquisite chance that it will go viral being shared on the web. 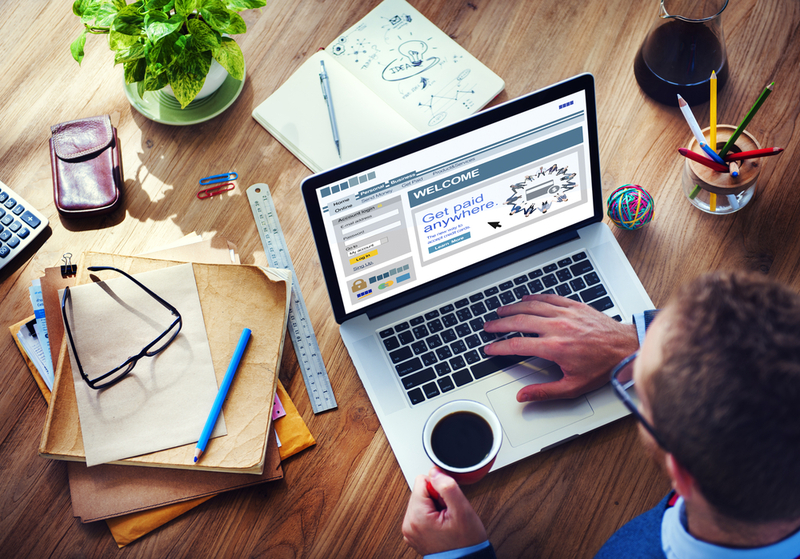 Domain names often give people a first impression of the website. A good domain will attract the massive amounts of traffic. The most useful domains are the .com domains. One of the largest search engines other than Google is none other than YouTube. Therefore, it is crucial to include YouTube in your arsenal of traffic strategies. Create your YouTube channel. Produce and upload original videos with interesting content to your YouTube channel. Using the “annotation” feature while editing YouTube videos, you can add a call to action for viewers to go your website URL. Another strategy is to interlink your videos with annotations so as to pick up more views and more traffic. Optimize your YouTube channel by including a link back to your website in the profile information on the left panel. Find other videos uploaded on YouTube that are related to your video content by searching your keywords in the YouTube search engine. Select the popular videos with many views and add a video response to that YouTube video. You can find this option near the comments section. Creating screencast videos is an effective way you can use to drive traffic to your website. One strategy is to attach a screencast near the end of the video to persuade visitors to check out your site. Talk about it for a short while, pointing out the cool things visitors can find on your site. You can use software like Camtasia, Screen-O-Matic or Jing. Many bloggers or webmasters have audiences to their websites amounting more than your own. Approach these people and ask them if they would like for you to write a post on their blog. Not only will you possibly get traffic flocking to your site, but it will also get you quality backlinks that will boost the ranking of your site on Google. Also, you would have made a friend or friends and build relationships in the process. Building an email list enables you to drive traffic at the click of a button. With a substantial number of subscribers to your email list, you can also build a community around your site or even your niche and eventually make sales after you have established the relationship with your list. However, it takes time, effort, and the right strategies to attract people to subscribe to your list. Also, it is essential to use an autoresponder service to build your email list. Check out GetResponse for one of the best autoresponder services. Marketing and promotion messages across to your list. An autoresponder is an email marketing tool that once set up will automatically send emails to a subscriber in particular time intervals after they sign up to your email list. Setting up an email autoresponder series requires some thought and organization. Ideally, your autoresponder emails should contain content for every relevant article on your blog, and each email should have a call to action designed to get the reader to click through to your site. Want to build a MASSIVE LIST for your auto-responder check this out. An eBook is a book-length digital publication read on computers or other electronic devices. 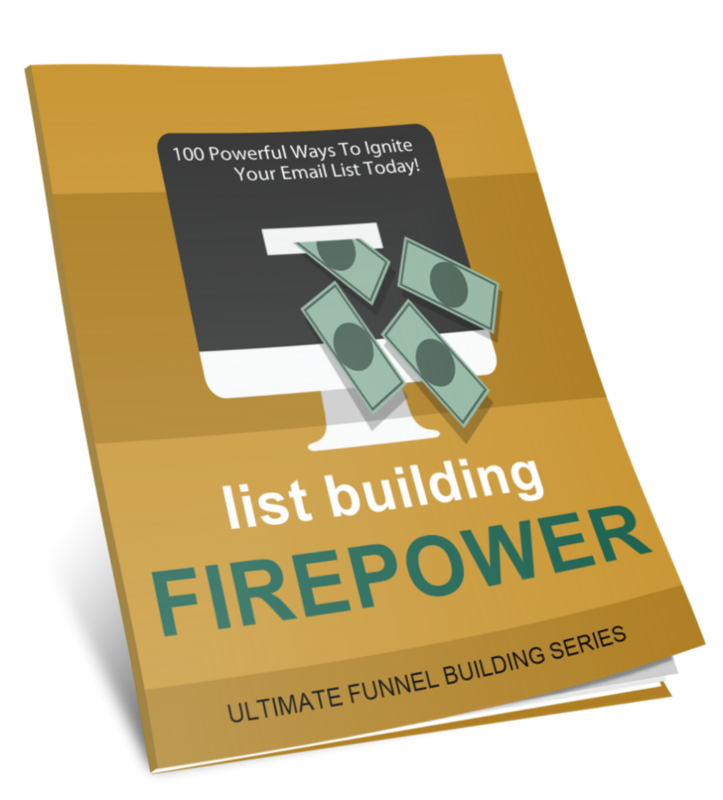 They have a high perceived value and are an excellent way to build a massive email list. To create an eBook, you just have to copy and paste blog posts you already have written into a document and convert it to a PDF. Giveaway this eBook for free in exchange that people subscribe to your email list. Once you have written your eBook, submit it to eBook directories. eBook lists work similarly with other online directories. They only list some eBooks in their directory and people visit these directories to find information. In this way, not only do your website gain more traffic, but people also get to know you as an author. The key to making it viral is to provide excellent and interesting content. An easy yet effective way to start your email series is by offering a 5-day / 7-day email course where you send emails automatically for the next 5/7 days to build a strong relationship and trust with your subscribers. Include links in your email for them to revisit your website. Once you have created a substantial list of raving subscribers, you will be able to create a sustainable amount of traffic that is going to your site. People love to read content that delivers immense value to them. Therefore, to attract the bulk of traffic to your site, your content must be well thought out and researched, outdoing competitors’ efforts in a particular area. If you are active on Twitter, you might have seen some of the marketing tactics in Twitter campaigns. One idea is that you could hold a contest to make the entry based on tweeting a certain link. Using backtweets, you can track those who have tweeted your link. The Amazon Kindle is an e-book reader which uses wireless connectivity to enable users to shop for, download, browse, and read e-books, newspapers, magazines, blogs, and other digital media. With more than 54 million hits a month, Amazon is the ultimate traffic-driver; even if you never own a Kindle you should make your blog available on Kindle as it will position you as an authority in your field. 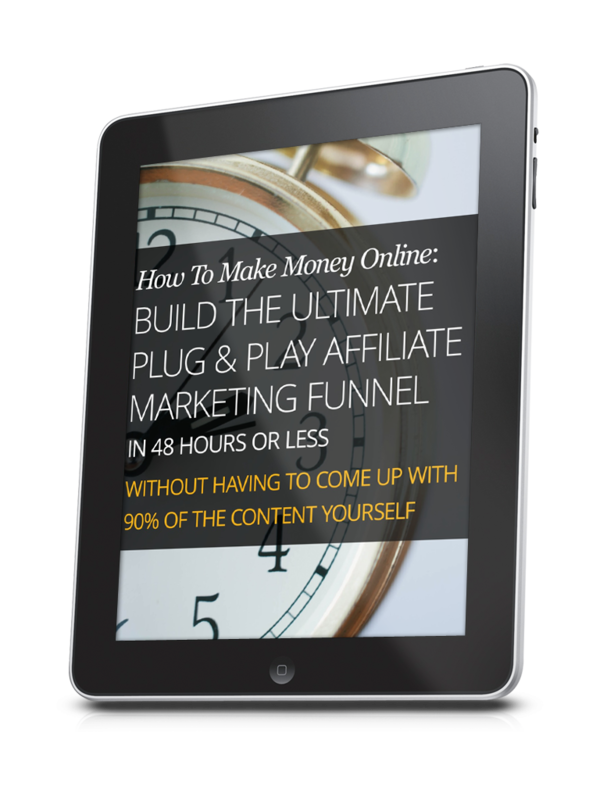 Here’s one of our eBooks on Amazon showing how to build a fast affiliate funnel. HubPages is an online space for you to share your advice, reviews, useful tips, opinions and insights with hundreds of other authors. One of the 50 most visited US sites on the Internet, it is where you can get more traffic to your main site if you are able to get the attention of the ready traffic thereby contributing interesting and value-adding content. page Squidoo is similar to HubPages where you can create “lenses” that tend to rank very well in the search engines. Provide a link back to your website and that you will get you more traffic to the site. Another effective way to get more traffic is to put your website link on another website related to your niche. Most webmasters don’t mind doing a link exchange with you if you are to provide a reciprocal link on your site as well. In this way, Google sees the links as two way links. However, one way links are perceived to be more powerful than two way links. Therefore if you have two sites, build links with other bloggers by linking them with one site and having them link to the other. This way you and the blogger both get one way links. If you have three or more blogs you can apply this same strategy internally. A press release is a written or recorded communication directed at members of the news media for the purpose of announcing something newsworthy. They may be a old school technique, but press releases still work. Keyword research help you to find relevant keywords that are high in demand but low in level competition. 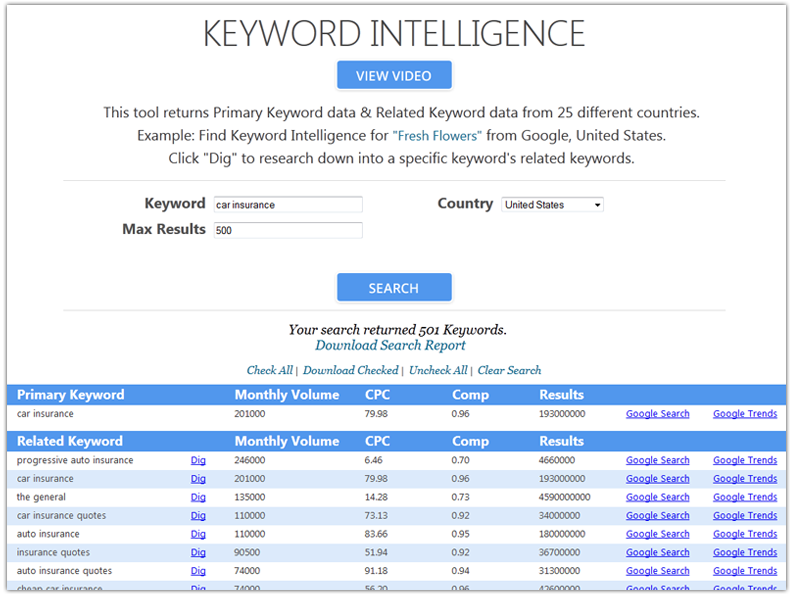 Use the Google Keyword tool to gather this information and then use it for search engine optimization or cost per click campaigns to get your website ranked to be found my prospective customers. Or you could use an awesome Keyword Research software like: AEAtools. SocialAdr is a social bookmarking service that allows you to have your bookmark saved by others in the community if you share the content of others. Users choose the content that they want to bookmark, bookmark it and SocialAdr automatically also bookmarks it on multiple bookmarking sites at once. By just the click of a button on the Facebook Like buttons, people will be sharing your content with their community and sending traffic to your site. Even if you can generate a lot of traffic to your website, your traffic might not have a site to visit if your website can’t show because your website hosting is of low quality. Go with a host that is well established and has great customer service. A web host that is very reliable is MediaTemple. Link building is one of the surest ways to get your site ranked on Google so that you can direct massive amounts of traffic to your site. However, when building backlinks, always keep in mind that it is the quality of links over the quantity of links. One link from an authority site can do more for your site than 1,000 low quality links. Once you have produced articles to be distributed to many article marketing directories, you can distribute your articles manually, or you can use the paid service Distribute Your Articles to send your articles to many article directories at once. Ensure that your title tags include keywords you are trying to rank on the Google search engine. By doing that, you increase the chances of ranking in Google and getting more traffic from searches containing those keywords. Install a translation widget to your site if you want non-english traffic to your site. One such tool can be the Google Translate Tool. Manually submit your new site to Google, Yahoo and BING to inform that to crawl it on a regular basis. For a WordPress blog, install the Google XML Sitemaps plugin to enable crawling spiders to check out your site regularly. Find your biggest competitors by searching for your keywords in Google. Take the top results from there and spy on their backlinks. Copy your competitor’s URL and paste it in the search bar in this manner: link:pageurl -site:domain.com This will show you the links that are pointing to this page so that you can attempt to duplicate them. 93. Do not install ads – Popularize then monetize. Before adding ads, first ensure that you already have a steady amount of traffic and repeat visitors to your site because ads send traffic from your website elsewhere on the web, and once your visitors click away they may never return. 94. Get All the Targeted Traffic You Could Ever Wish For. Legally steal your top competitors traffic and clients without them ever knowing about it. Identify the “money” markets instantly. Position yourself at the top to dominate any niche. Set up winning campaigns and avoid the pitfalls that 95% of all Internet Marketers slip into when starting out. Track everything you do online. Multi cross/AB split test your landing pages/offers to identify where you are losing AND making money. Get access to the tools that give you an unfair advantage over every competitor. Do you think you’ll have an advantages over your biggest competitors in the marketplace? What will it mean to you and your business if you implement each of the above today? What if I told you there was a simple way to go about this? Go here and check out this simple trick we discovered not to long ago, and learn how this took our business to a whole new level.